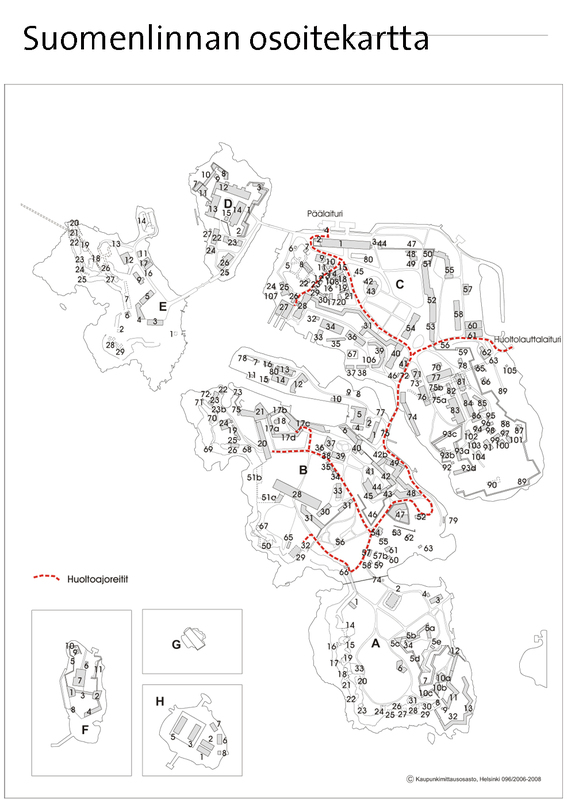 On this page, we have collected maps that visitors to Suomenlinna may find useful. Suomenlinna is accessible only by water. The trip offers magnificent views of Helsinki from the sea. Suomenlinna's significance in the subsequent defence of three distinct states - Sweden, Russia and Finland - gives the fortress its own special importance.